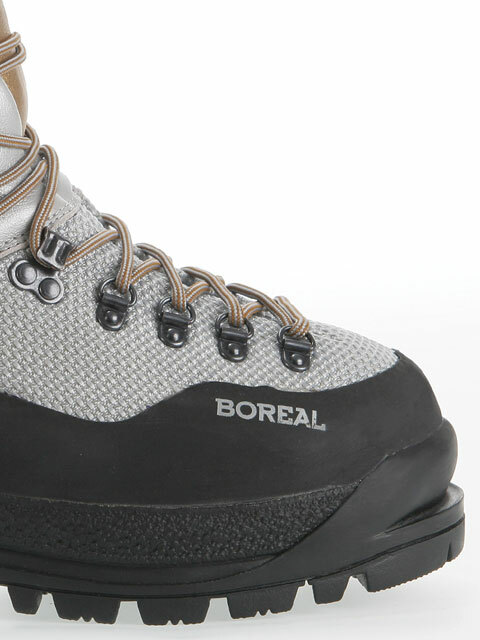 SKU: Ex Hire Boreal G1 Lite Categories: Clearance / Sale, Clearance footwear, Final Clearance, Footwear, High Altitude Boots, Mountaineering Boots Tag: shop_sale Brands: Boreal. The Boreal G1 Lites are all Ex Hire boots and as such have been used on expeditions, When Ordered we can email you some photos of the boots that you will be getting before sending them out so you can be certain that you are happy with them, All the boots sold are in a good condition and will have a number of expeditions left in their lifespan if you have any questions with regards to the boots then please do not hesitate to call the shop on 01539433794 and option 3. 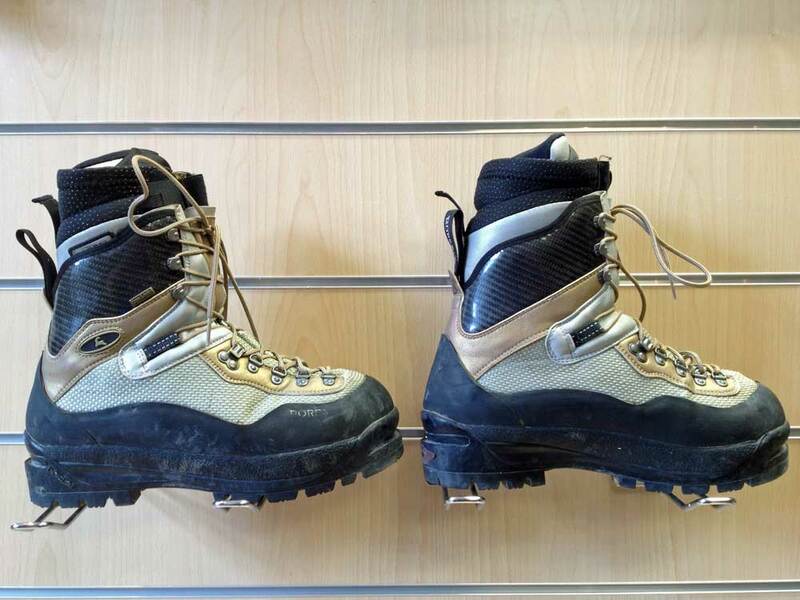 We do not accept returns on ex-hire boots as these are marked for clearance so please check sizing. 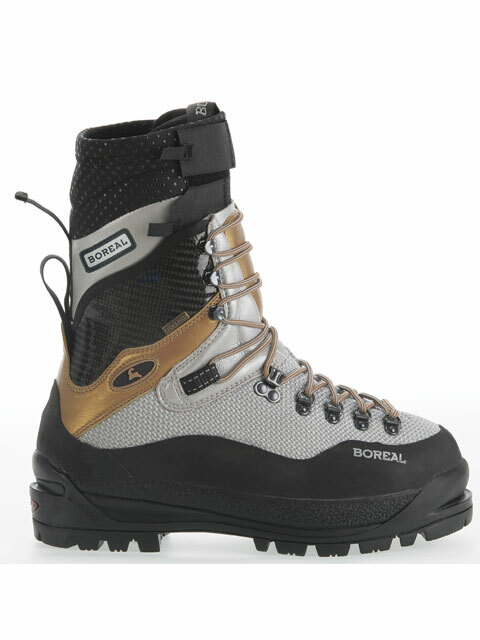 The Boreal G1 Lite is one of the new breed of hybrid boots it is built with a waterproof Dynatec outer and reinforced with Lorica and Carbonglass sections. 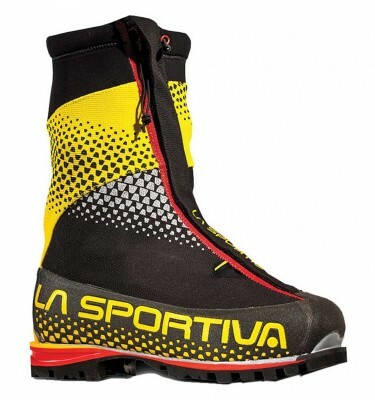 The outer boot houses a Thinsulate insulated inner boot delivering warmth with minimal weight. 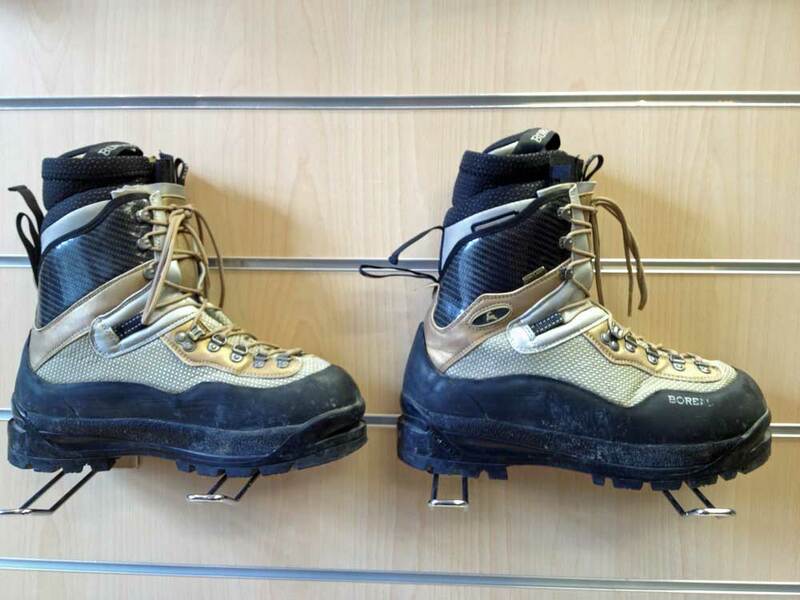 The system is rigid enough for step-in crampons climbs well and is ideally suited for extremely cold high altitude climbing or full winter Alpine Rockies and Himalayan conditions. 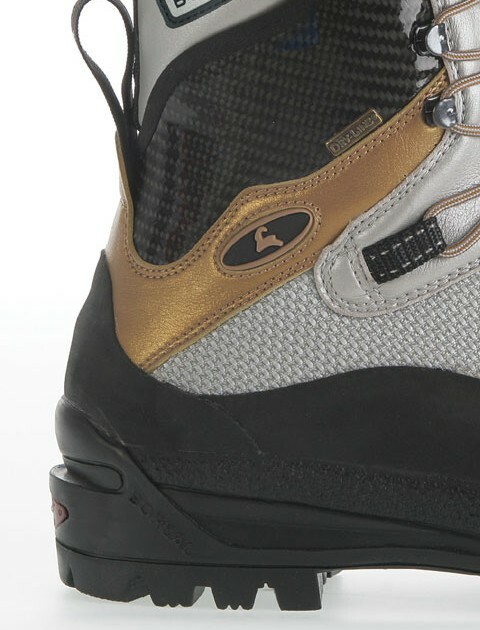 This is a surprisingly versatile boot for climbers seeking warmth without the bulk and stiffness of traditional plastics. 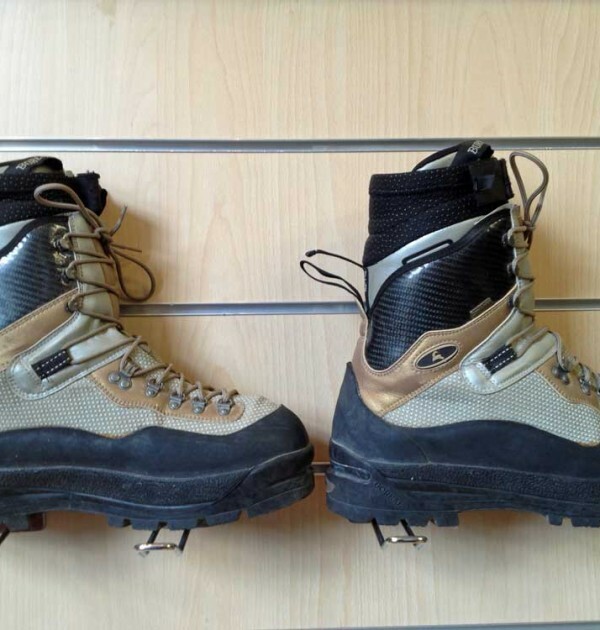 This has been our go to boot for hiring out to High altitude climbers needing a double boot for a number of years owing to its robust and versatile design. 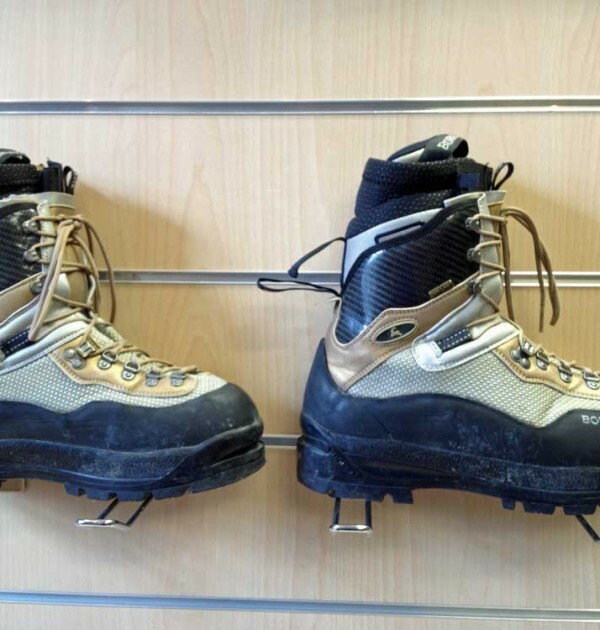 If you are unsure about which boots you need or which size please read our helpful guide on choosing a 7000m boot found here. 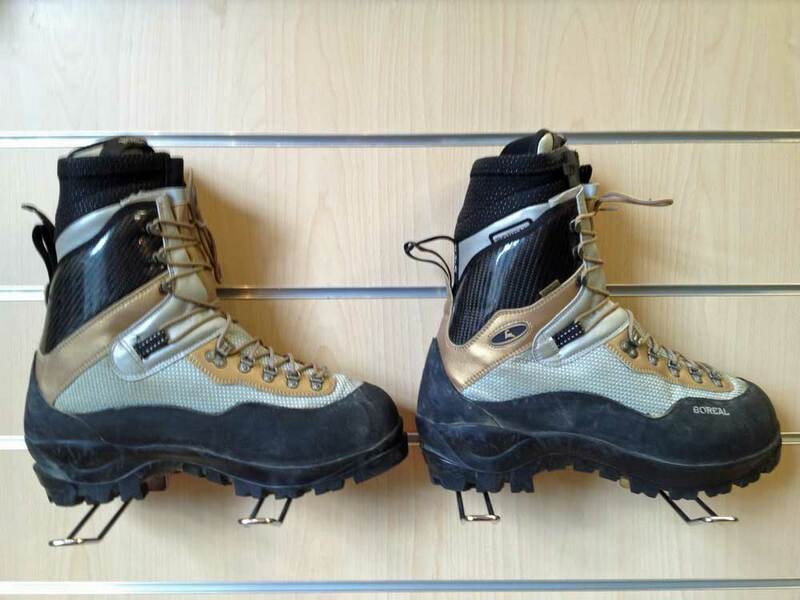 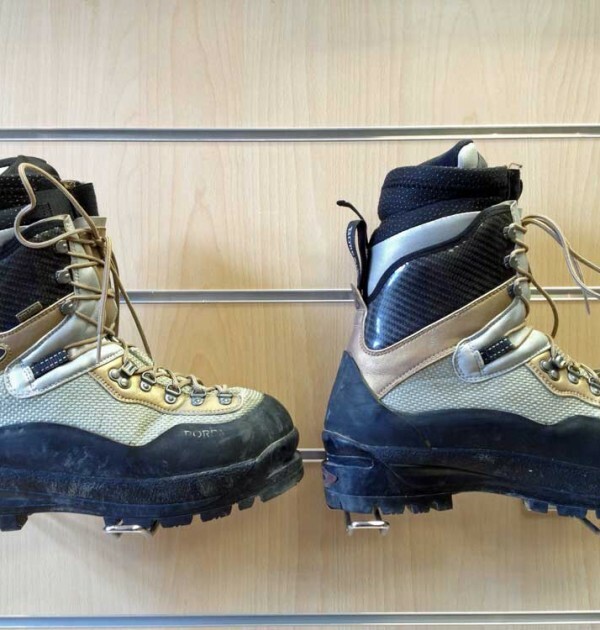 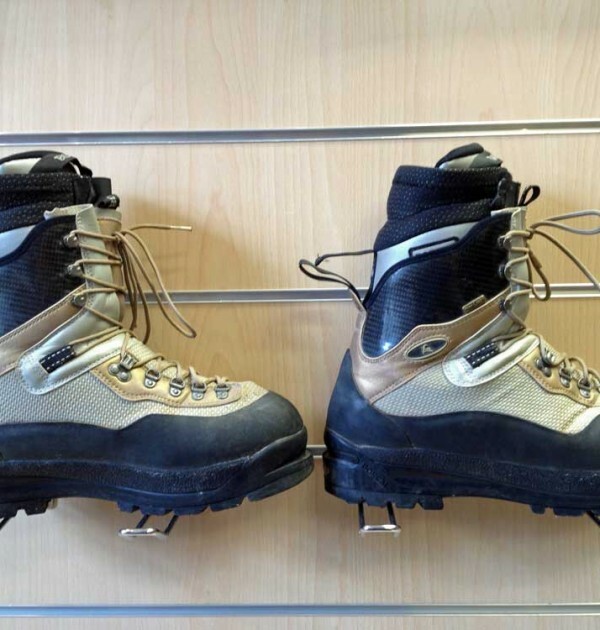 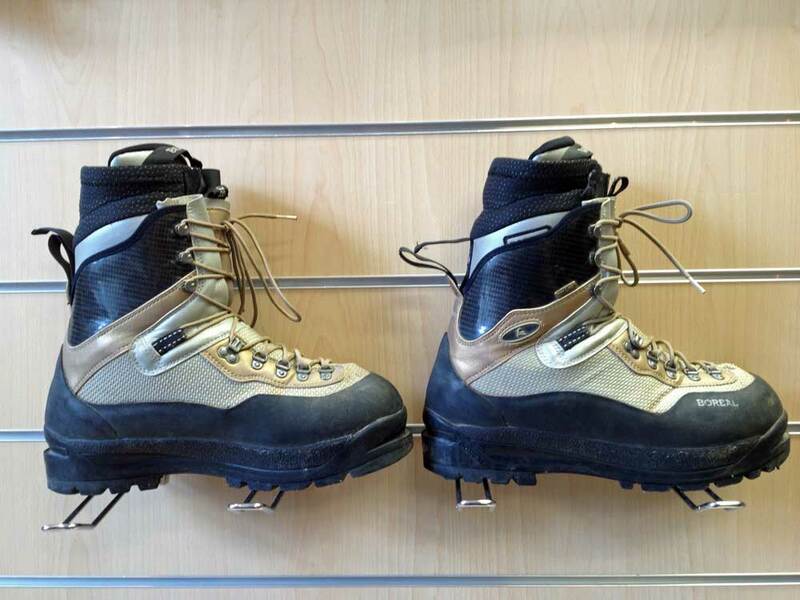 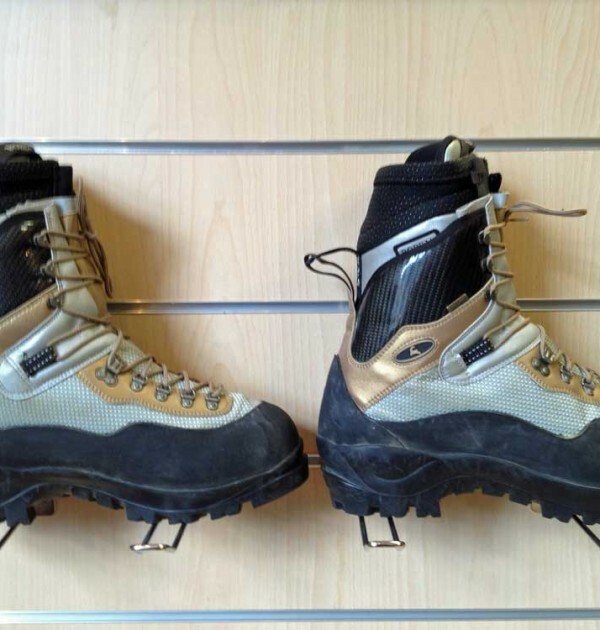 Though if you still have any unanswered questions with regards to the sizing of any of our double boots please do not hesitate to call the shop on 01539433794 where our shop staff are always happy to help with any questions that you may have. 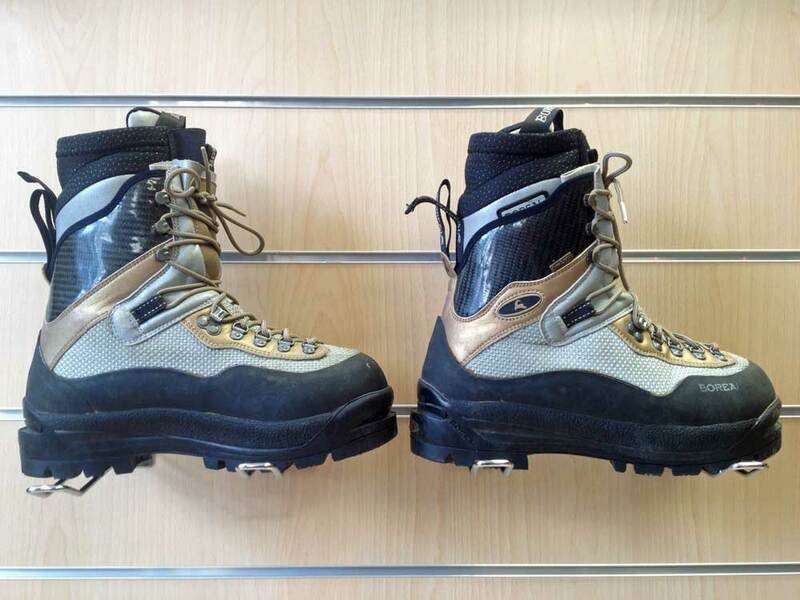 Waterproof and reinforced one piece Dynatec with Lorica Carbonglass and Neoprene. Highly abrasion resistant Cordura liner with Sympatex membrane and 6 mm EVA. 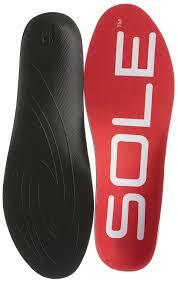 1.4 mm Neoprene insole for insulation with anti-slip heel lugs for precise inner boot location. Boreal PBG-680 with lateral reinforcements for superior torsion control. 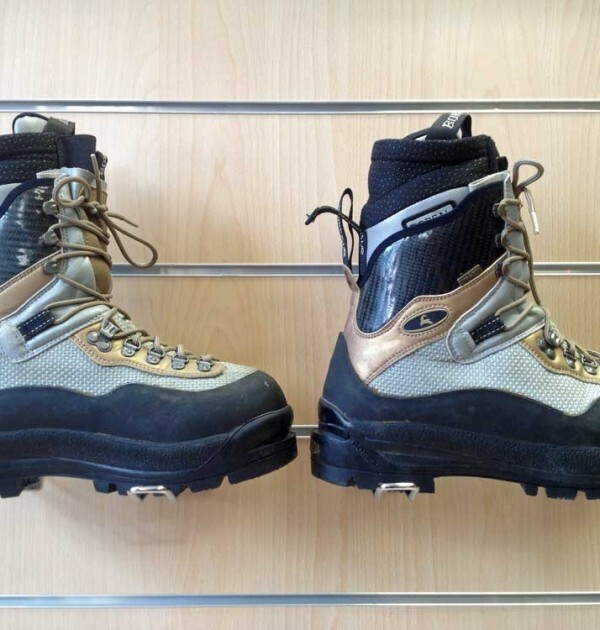 Specially isolated by three layers: Radoma triple layer Thinsulate and Neoprene. 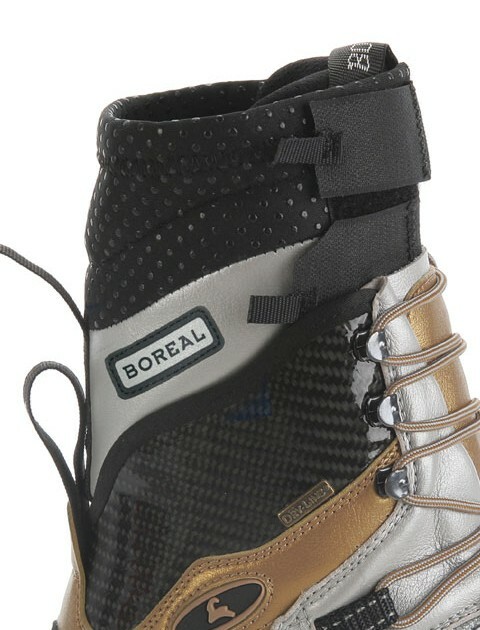 Boreal Mount FDS-3 with triple density rubber. 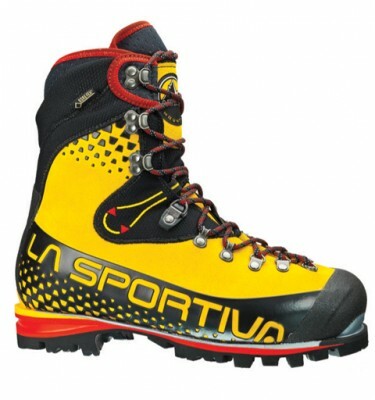 Plus 10 mm EVA-Pro midsole for shock absorption and thermal insulation. 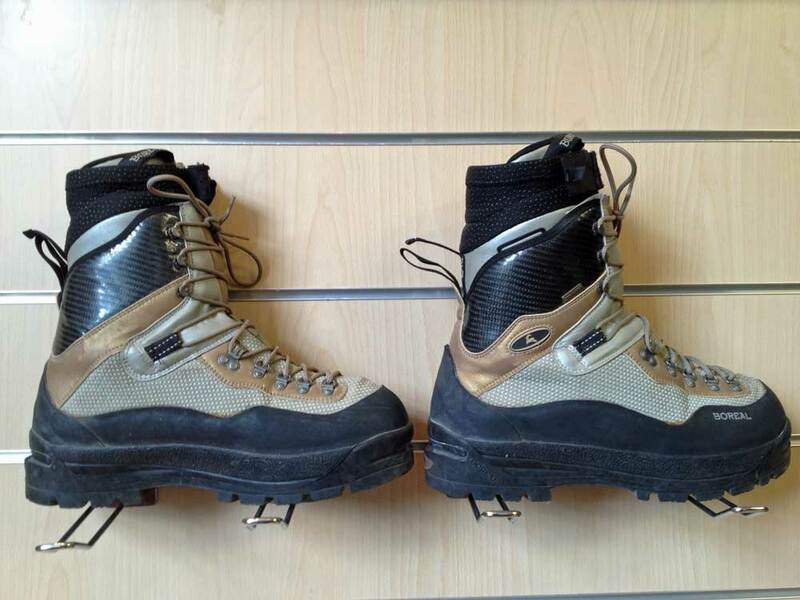 Technical Crampon compatible.